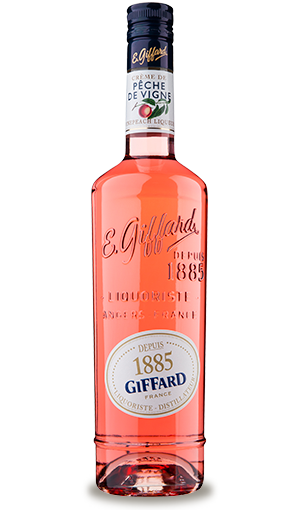 Liqueur (crème de fruits) made from infusion of vineyard peaches. Light salmon pink colour with golden shades. Deliciously fruity aroma, typical note of the fruit combining the softness of the flesh and characteristic vegetal notes of the skin. Very fruity taste, close to the fruit itself. Sweet notes of the very ripe flesh and of the skin, typical of this fruit.